While racers will rarely argue that shoes are important, socks tend to be a more underrated gear item. I, for one, who spent months looking for a perfect racing sock that would prevent blistering, beg to differ. The right shoe is first priority, but the right sock is second. I have long settled on the Wright Anti-Blister socks for all my training and racing, however, kept an open mind when MudGear contacted me, suggesting I give their products a try. I am pleased to say that I may be adding MudGear socks to my racing repertoire in 2015 season. MudGear is outdoor performance gear for warriors. We don’t run on treadmills and we don’t make gym clothes. 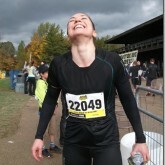 We build rugged, tactical clothing for top athletes to wear in a mud run, obstacle course or adventure race. We believe we were all made to get outside and get dirty. We believe that toughness is not measured by machines or counted on clipboards. We believe that glory is won outside, against fierce competition, where the fiercest is Mother Nature herself. 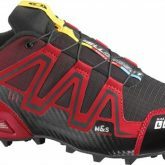 Their tag line is “MudGear is Built for Obstacle Racers by Obstacle Racers”. The implication, of course, is that obstacle racers know what works best. Let’s see if they delivered. 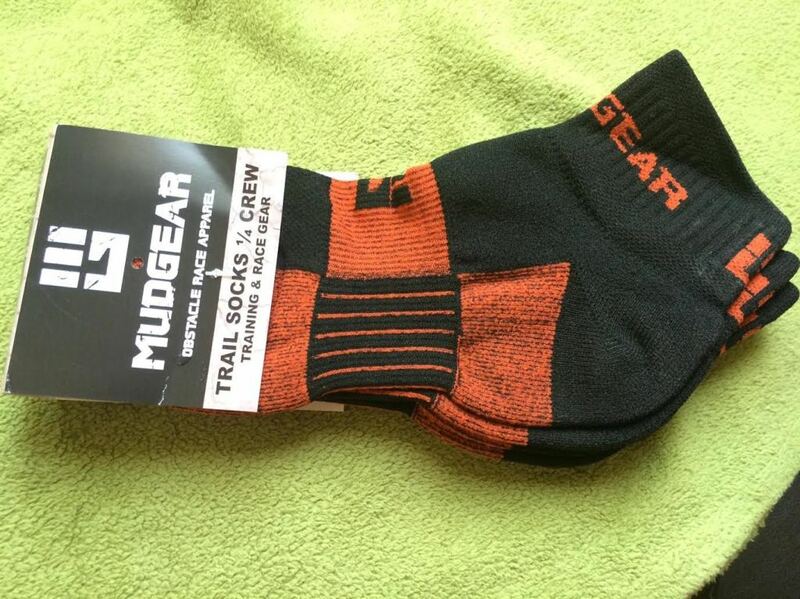 I received one pack of MudGear Trail Socks, which includes two pairs of socks for $20. At $10 per pair, that is a bit less than you can expect to pay for a pair of Wright Anti-Blister or Injinji socks. Score! The MudGear 1/4 Crew Trail Sock was custom designed by accomplished footwear craftsman Nate Banks. Nate has designed footwear for several top sports brands and recently brought that expertise back to the family business in Hickory, North Carolina. Nate was drawn to the challenge of designing a sock for a sport that includes long miles and full submersion. The result is a strongly functional trail sock with exciting performance features. The first thing you will notice about these socks is the relatively high ankle that is tight enough to keep out dirt and rocks, but is not a tight compression fit. The footbed is soft and cushioned but not thick in a way that will soak up and hold water or mud. 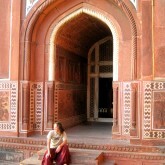 There is good ventilation on the lower arch and upper foot for air flow and to help with drainage. 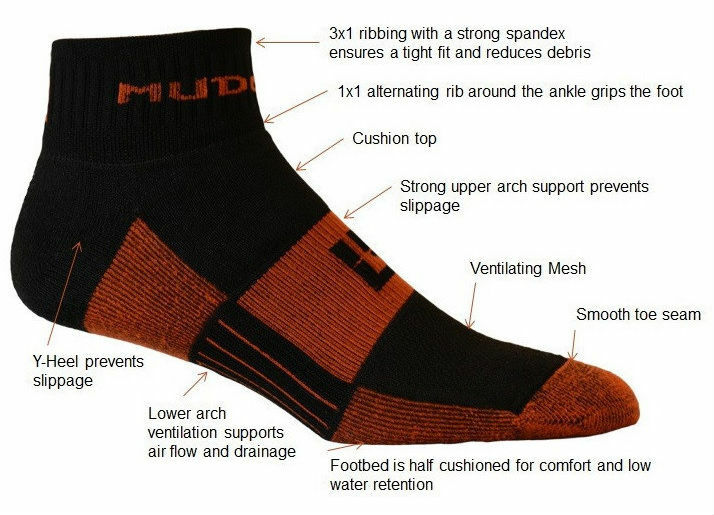 The sock wears comfortably despite being built to shed water quickly. I will not be able to comment on all of the above features, because I am a racer, not a sock engineer. LOL. You have to be thankful to be living in a time, when a racing sock has almost dozen specifications, including supported air flow and drainage (it sounds like a submarine!). Thankfully, there is no Left and Right sock – that to me seems like way too much cognitive effort to put on a pair of socks. The sock is a single layer, yet feels thicker than most racing socks. I love that aspect for colder races, however, would be curious how it would hold up in the July heat. I may want something a bit thinner. My socks were the size medium – US Men’s 7-9 (I wear size 8.5 shoe). They fit a little big at first, but throwing them in the wash fixed that problem. The full length MudGear Compression Obstacle Race sock is a tribute to the nasty gashes suffered by OCR racers at the hands of long rope traverses and painful slides across rusty metal poles. This is the only compression sock we know about that is built with a layer of padding on the lower leg and calf that protects from rope burn and other injuries. 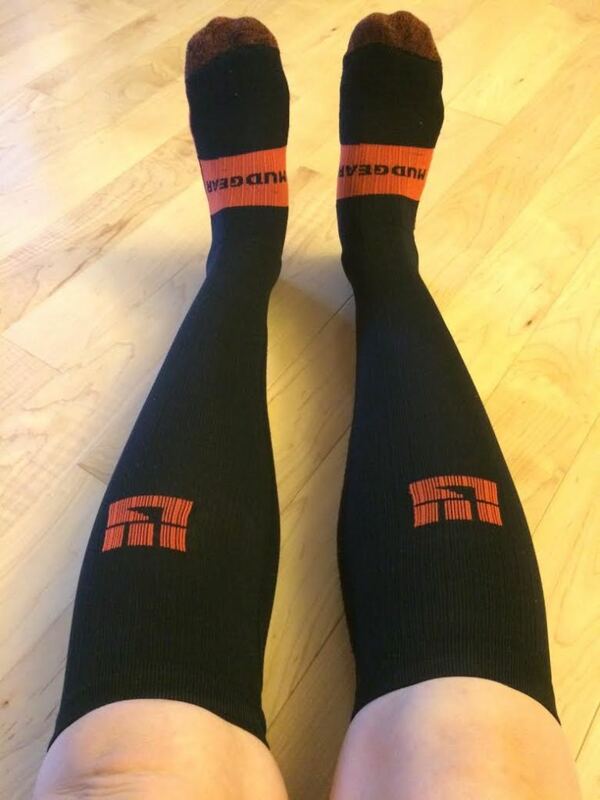 $30 per pair – once again, on par or cheaper than most compression socks you will find. I do not usually wear compression socks or calf sleeves while training or racing. Why not? Simply because I do not NEED them – my calves do not cramp, and I prefer to protect my knees from the scrapes, by wearing a longer race pant, rather than protecting my shins. 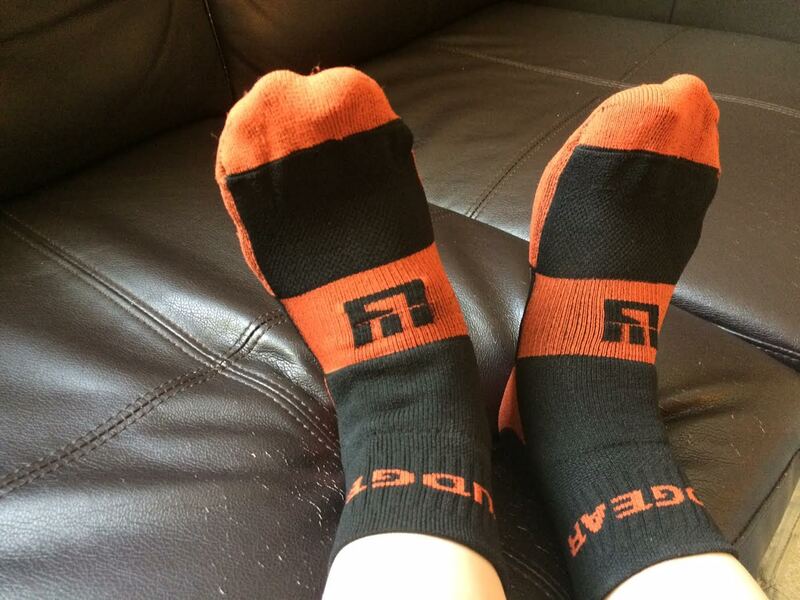 MudGear says that this is “The world’s first compression sock built specifically for OCR”. I am not exactly sure what that means. The makers go on to explain that the sock has “ideal compression strength for competitive racing” and “protective backing for rope climbs and traverses”. The socks are made of thicker material than many compression socks I have seen, so I can definitely see a benefit of protection from rope burns and scrapes during barbed wire crawls. I may become a convert! MudGear also says that “These and all of our products are built to perform in the elements and not in the gym.” Well, being the rebel that I am, I have tried wearing these to the gym, and I gotta say, they do a pretty good job in protecting the shins from barbell abrasions (think deadlifts, especially). They are also stylin’. 😉 I may or may not be biased here, as these are Tigger colors! Having received these socks at the end of November, I was not able to test them out in racing environment, however, I will be testing them out in a shorter obstacle race in the spring. *Disclaimer: I have received these products for free in return for a gear review. Under no circumstances have I been paid to write any positive reviews. Anything you read here is my independent opinion based on testing the gear while training and on race course.